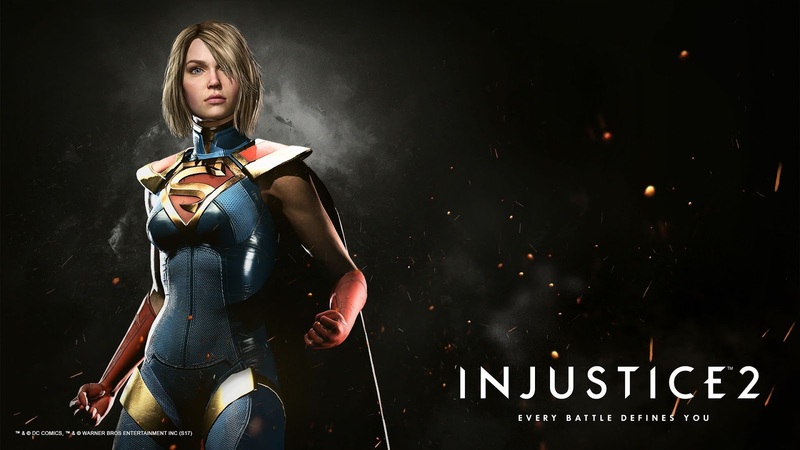 Injustice 2 #26 has dropped, on its normal Tuesday release day, giving us all just enough of that new comic book fix to make it into Wednesday. Last issue we checked in on Damien and Supergirl meeting each other on Kahndaq before being separated by Black Adam to their own quarters. So where does that leave us this issue, thats what Im here for folks, jump on inside and find out why you should spend $.99. 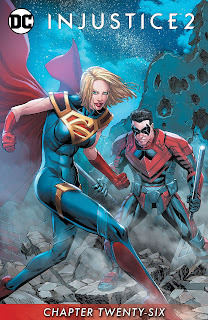 The issue begins with Damien sneaking out from the lock and key he was held under to track down Supergirl once again. Damien tries to lure Supergirl out and about, to show here what lies beyond her bedroom walls, and eventually does so by jumping off her window ledge, forcing Supergirl to save him. They fly over a nearby town, as Supergirl revels in the sights and sounds of everything she’s taking in, when they spot trouble brewing below. A group of soldiers appear to have dropped a chemical weapon in a town of innocent people and from the chaos we get some great well written scenes that follow. Supergirl springs into action blowing the gas out of the area, while Damien steps in front of the innocents who have guns pointed at them. The Soldiers fire and Supergirl saves the day once again, catching all the bullets, and dispatching of the hired guns with Damien's help. I'm really giving the scene no justice by summing it up you need to read it, it's amazingly done. 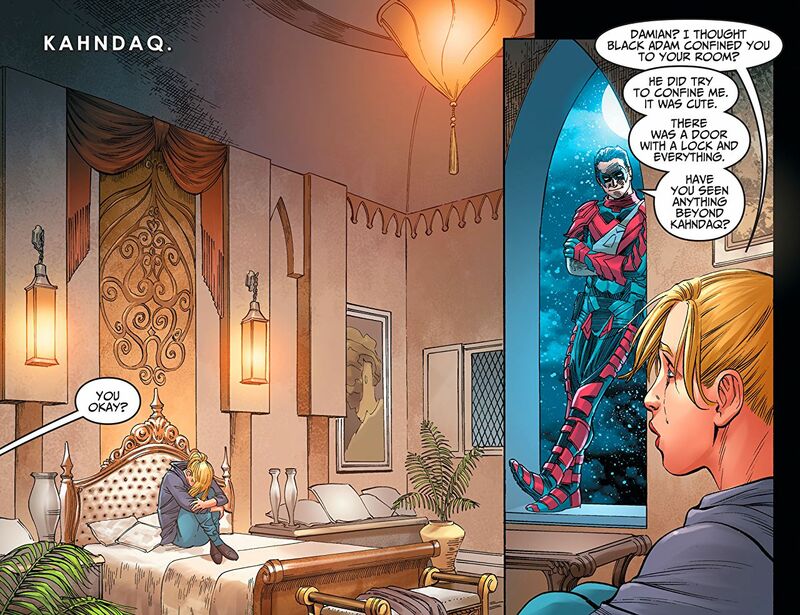 Back at Black Adams palace Damien and Supergirl have a discussion about some complicated matters. Damien recaps some of what's been going on to Supergirl throughout the Injustice Universe and how he currently is at odds with what Ra’s wants for the world. Supergirl reassures him he's not a bad person, as Black Adam looks down seeing opportunity in Damien to aid in his mission to free ….? Youll have to buy the book to find this little diddy out. 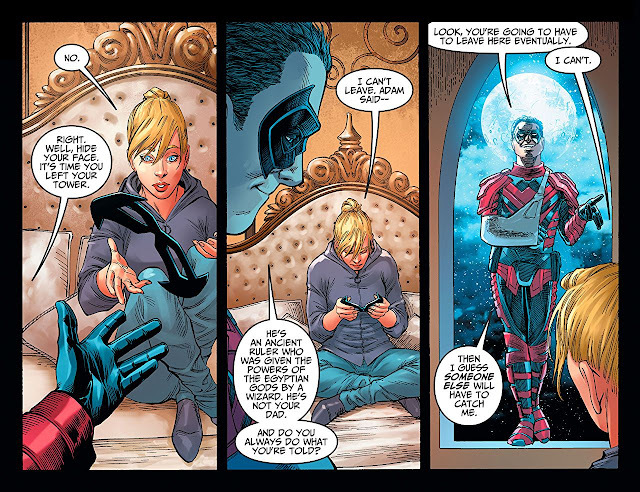 Overall, as an individual issue, this was my favorite from the Injustice 2 series in awhile. While we don't do much to move the story forward overall, there is some excellent top notch character work on display here, which highlights why Tom Taylor is a Weird Science DC Comics fan favorite. Although I wasn't initially pumped to be taking another break to check-in on Supergirl and her plight again I'm glad now this is where the story has taken us and can't wait for more. The art team puts together another great effort and this series is consistently one of the best looking books at DC Comics. 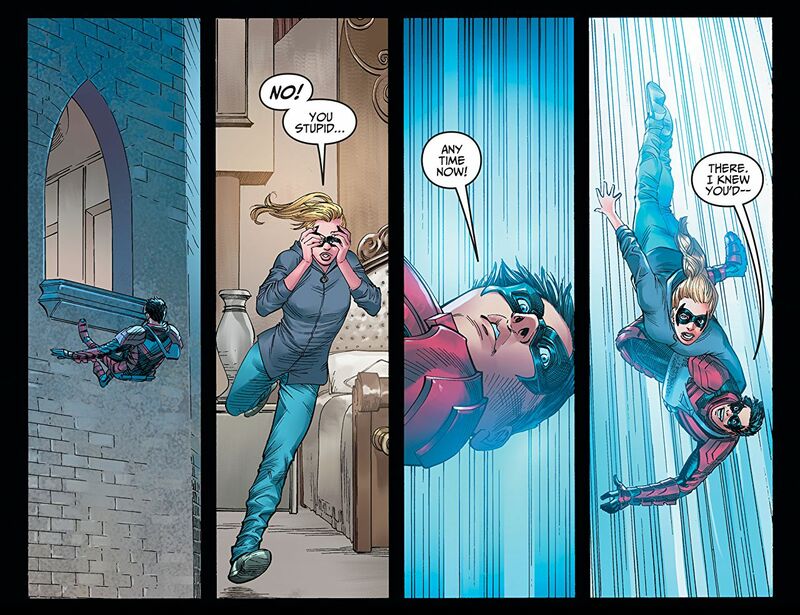 Injustice 2 puts out a great issue highlighting the genuine goodness in Supergirl and the best written Damien in all of DC Comics. This may have been my favorite issue of the series to date.